This holiday season the team at Pound & Grain decided to mix-up the holiday vibe with a touch of hustle. With the help of Escents and Candleworks we introduced our first limited edition candle for Xmas this year. And we named it Hustle. It is inspired by the hard work we all do 24/7/365. When you feel wildly uncomfortable about getting things done, Hustle is what it takes to make it happen. It also has added bonuses like relieving stress, reducing holiday headaches, and boosting your immune system. 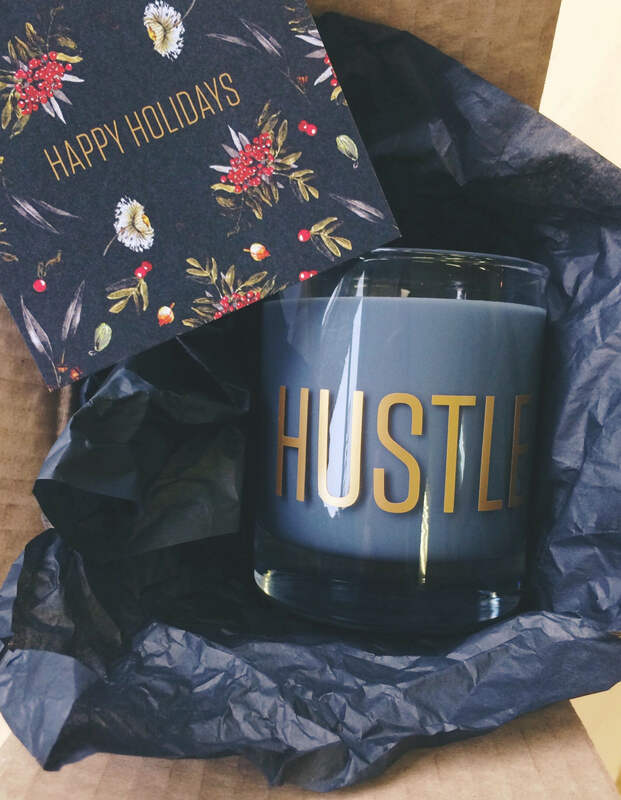 The candle is a mix of Eucalyptus Radiata and Cardamom and induces an insane amount of hustle. So this holiday season sit back, relax and congratulate yourself and on a great year. Because good things happen to those who hustle.